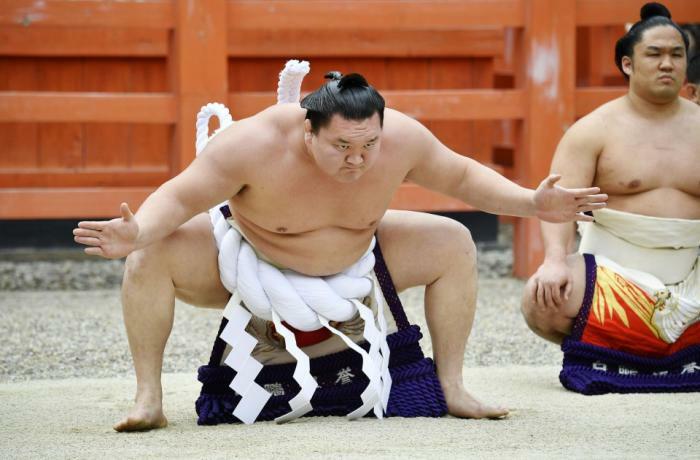 Tokyo (AsiaNews/Agencies) – A Mongolian-born sumo wrestler who has reached the rank of Yokozuna, the highest in the sport, has applied for Japanese citizenship. This requires him to give up his original citizenship, a move that has sparked controversy in his native country. The 34-year-old Hakuhō Shō, whose Mongolian name is Mönkhbatyn Davaajargal, had previously expressed the desire to become a Japanese citizen, a requirement for all foreign fighters who want to become sumo elders. According to Mongolian media, Hakuhō submitted his request to the president's office last week. "Now I just have to wait for the outcome," he said at the regional Spring tournament currently underway in Tokyo, after news of his request became public. Last month, Hakuhō claimed a record 42nd makuuchi title at the Spring Grand Sumo Tournament. However, he also drew criticism from the Japan Sumo Association (JSA) for leading the audience in an impromptu cheer in order to "rouse the crowd at the conclusion of the last grand tournament of the Heisei era". Despite the Mongolian’s historic successes, the JSA has refused to change the rule whereby elders must have Japanese citizenship. The association is run by sumo elders, retired wrestlers who left the dohyō (ring) and consider themselves as the true guardians of tradition. The decision did upset Hakuhō because his father, Jigjidiin Mönkhbat, was a top-ranked legend in Mongolian wrestling who appeared at five Olympic Games, winning silver in 1968 to claim Mongolia's first Olympic medal. Since making his professional debut in 2001, he has redefined sumo and shattered many of the sport's major records, including most career wins (1,120), most top-top division wins (1,026), and most undefeated championships (15).